The Hanover Area Chamber of Commerce is pleased to announce the recipients of the 2018 Hanover Area Leadership Awards. The Leadership Awards are presented each year to local individuals and businesses that demonstrate a commitment to improving the quality of life in the Upper Valley through their leadership, innovative business practices and support of community organizations. Award recipients were nominated and voted on by three hundred business members of the Chamber. The recipients will be recognized at the Leadership Awards & Monte Carlo Gala on Thursday, November 1st at the Hanover Inn. This year, the Hanover Area Chamber of Commerce celebrates its 70th Anniversary of serving the businesses and organizations of the greater Hanover community. In addition to the business awards, guests will be encouraged to enjoy gaming tables with proceeds to benefit local nonprofits and partake in a champagne toast raffle where one lucky glass will contain a .70 carat diamond! Tickets are available at hanoverchamber. 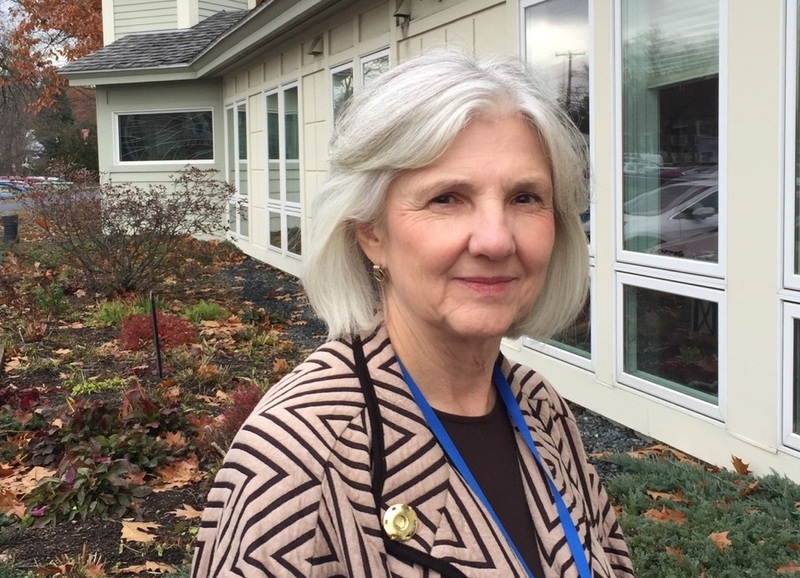 Sara Kobylenski, Executive Director of the Upper Valley Haven will receive the Chamber Leadership Award which recognizes an individual(s) in the community that has demonstrated exemplary contributions to the Upper Valley through civic outreach. The Small Business Innovator of the Year recipient is Northern Stage. Under Eric Bunge's leadership the Barrette Center for the Arts was built in 2014-15 in downtown White River Junction after a $9 million fundraising campaign. Eric has led Northern Stage's efforts to build the arts in Vermont, through his work at Northern Stage and as a lead consultant on the Grand Opening and inaugural season for the Highland Center for the Arts in Greensboro, VT in the summer of 2017. Northern Stage has expanded its programming to include six full productions annually and numerous educational and outreach programs in its home in White River Junction and throughout Vermont. Carol Dunne, Artistic Director of Northern Stage will receive the Innovator of the Year Award recognizing an individual(s) that have shown creative progress and significant contribution in their field. Carol Dunne launched the BOLD Theater Women’s Leadership Circle to address the lack of support for women in theater. The BOLD Circle will offer major support of artistic initiatives focused on women artists and will create a formal mentorship program to train and prepare future women artistic directors to lead, to create, to innovate, and deepen the impact of theater on the American culture. The Business Innovator of the Year recipient is Hypertherm. Over the past several years, Hypertherm has become a powerful leader in the Upper Valley on issues relating to substance misuse disorders. Hypertherm leaders have used their position as one of the region’s largest employers to innovate around supporting employees who may struggle with their own or a family member’s addiction and to combat stigma. Through the Hypertherm HOPE Foundation and dedication to corporate social responsibility, Hypertherm has contributed significant resources to support expansion, innovation, and sustainability of the services Upper Valley families need to prevent addiction and support recovery. Hypertherm is a “Recovery Supportive Workplace” and participates in Governor Sununu’s Recovery Friendly Workplace Initiative. In 2015, they created a “Substance Use Disorders Task Force” and developed strategies to provide associates with resources for substance misuse for themselves or their families. They have also provided grants to expand and sustain many recovery support programs like the Second Wind Foundation and prevention programs like Second Growth’s Coaching for Captains. The Hanover Area Chamber of Commerce promotes economic prosperity and a high quality of life for Hanover, NH and surrounding area through collaboration, advocacy and economic opportunities that strengthen our communities, making our region a dynamic place to live, work, and visit. For more information, please contact 603-643-3115 or visit www.hanoverchamber.org.